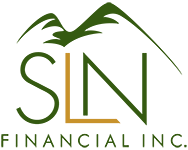 March 2, 2016 - What You Need to Know About Reverse Mortgages | SLN Financial, Inc. If you have a cash-strapped senior in your life, you may have come across advertisements for “reverse mortgages,” a type of loan that gives older homeowners payments in exchange for the value of the property while allowing them to remain at home. To qualify, seniors must own the property outright or have a low remaining mortgage balance. The loan doesn’t need to be repaid until the homeowner dies or moves out. What are the pros of reverse mortgages? A reverse mortgage can be a way to increase income in retirement by tapping the equity in one of a retiree’s largest assets: his or her home. Since many retirees have paid off their homes or owe very little on the mortgage, a reverse mortgage can give them income without increasing monthly bills, while still allowing them to remain in the home. The type of reverse mortgage you can get depends on many factors, including age, the value of the home, any mortgage loan balance left, and current interest rates. Another advantage is that most reverse mortgages are “non-recourse” loans, meaning that the homeowner or his or her heirs will never owe more than the value of the home when the loan is due. Reverse mortgages are complex and can come with high fees and interest rate charges. The loan may also affect Medicaid and other benefit eligibility. Homeowners are still responsible for taxes, insurance, maintenance, and upkeep of their homes after the loan is signed; defaulting on those obligations could stop payments and cause the reverse mortgage to be repaid early. A reverse mortgage also reduces the estate and prevents your heirs from keeping your house unless you repay the loan. Reverse mortgages can be a valuable tool for cash-strapped seniors who want to stay in their homes. However, they should only be considered after all other avenues have been explored. A lot of the information out there about reverse mortgages comes from brokers who want to sell them to seniors. Before considering a reverse mortgage, it’s vital to consult a financial professional who can offer objective advice based on the senior’s entire financial picture.